Matson, Inc. (NYSE: MATX), a leading U.S. carrier in the Pacific, has announced that it will increase the frequency of its South Pacific Express (SPX) service to Samoa and American Samoa from 28 days to 14 days. The service provides the fastest transit time from Hawai'i and the U.S. West Coast to the Samoas: 12 days from Long Beach and 5 ½ days from Honolulu to Pago Pago, with an extra day to Apia. Matson launched its SPX service on August 10, 2016, establishing reliable, fixed day shipping service between the U.S. West Coast, Hawai'i and the Samoas. Its new fortnightly SPX schedule is made possible by the company's acquisition of a larger, faster vessel that has been christened "Samoana" and will be welcomed at special ceremonies following its maiden voyage arrivals at Pago Pago and Apia. 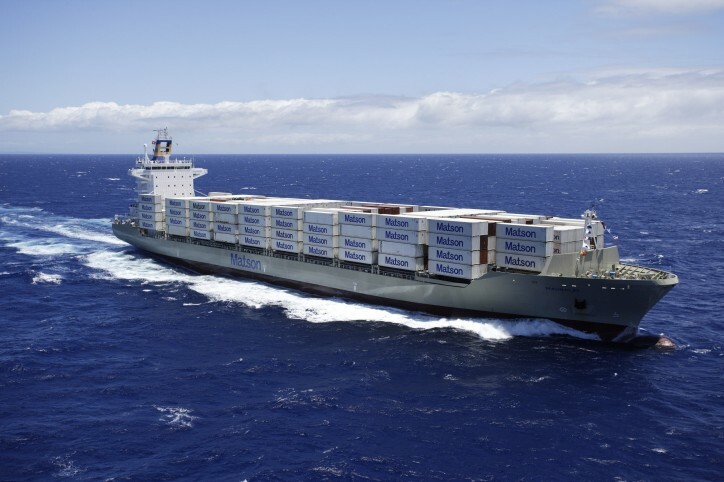 "As a leading independent shipping company serving Hawai'i for the past 135 years, Matson has built a reputation for customer focus, and the feedback from our customers and the wider community has been extremely positive," said Senior Vice President-Pacific Tuilaepa Vic Angoco. "We are excited that we can now offer increased frequency to North America and Hawai'i for importers and exporters alike, improving the flow of goods from the U.S. and optimizing access for Samoa produce and goods into US markets." "We are also pleased to announce that the new vessel serving the Samoas will be named 'MV Samoana,' underscoring Matson's commitment to the Samoas, Tonga and the Cook Islands. The name Samoana has special meaning to us as Samoans, and Matson recognizes the pride our people have in our unique culture. It is our hope that the people of the region feel a connection to this vessel," Tuilaepa added. MV Samoana, with a capacity of 1,103 TEUs,* will replace the 844-TEU MV Islander, which had been operating the previous 28-day service. The newly increased service from the U.S. Mainland and Hawai'i complements Matson's existing 14-day service from New Zealand to the Samoas, which has been in operation since 2013. This allows for exporting and importing opportunities to extend across these trade lanes which also cover Rarotonga, Aitutaki, Nukualofa, Vava'u, Niue, and Fiji. Along with competitive transit times from U.S. ports to the South Pacific, Matson's dedicated terminal operations on the West Coast provide shippers with superior truck turn times, flexibility in receiving cargo seven days a week, and Matson's extensive chassis inventory in U.S. ports. Matson was rated the #1 Ocean Carrier in the world for 2014, 2015 and 2016 in Logistics Management's annual Quest for Quality Awards, considered by many the most prestigious industry award recognizing performance excellence and customer satisfaction.